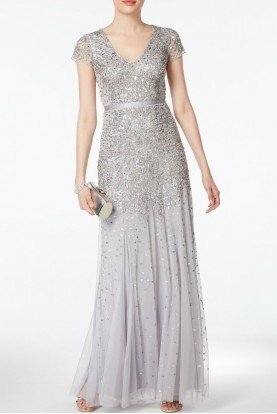 Light up the night in this beaded Aidan Mattox cocktail dress. We love the balanced look of long sleeves and a low back. 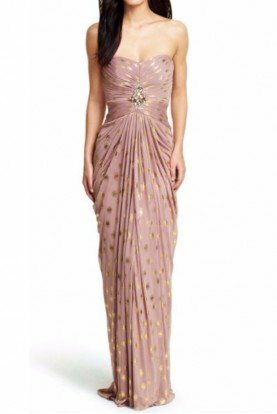 Light gold chiffon with golden beads and sequins sewn throughout. 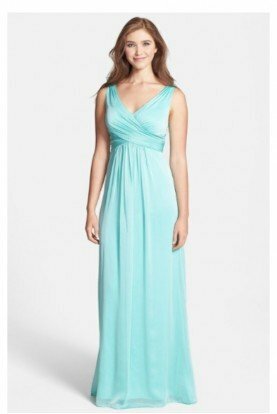 The bateau neckline and the above-the knee hemline keep the dress classic.